Is your computer slow to respond? There’s generally no need to buy a new computer, a memory upgrade is the easiest and most effective way to boost your computer’s performance. 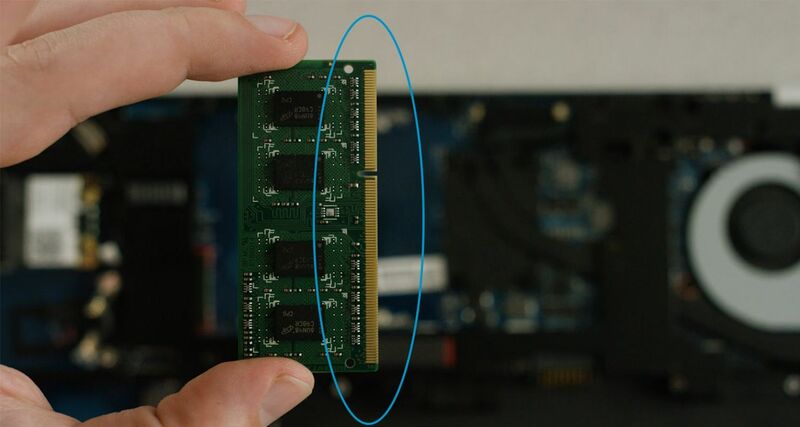 Adding or upgrading RAM in a laptop does not require any computer skills, just a screwdriver. First, determine how much memory you’d like to add. See our guide to estimate the amount of computer memory you need. 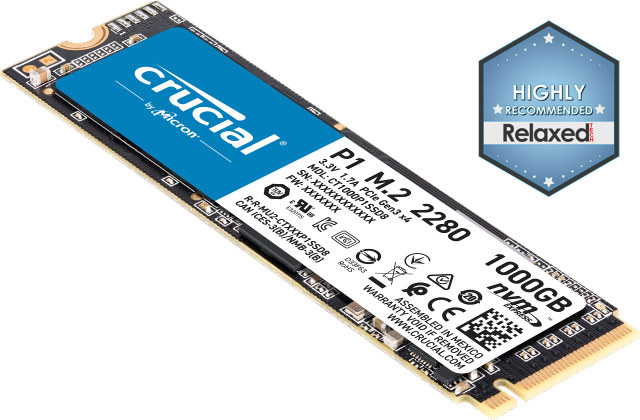 Another way to improve performance is to upgrade your hard disk drive to a solid state drive. 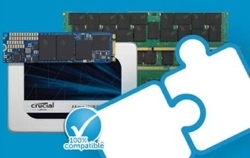 Read more about how to install an SSD in a laptop. 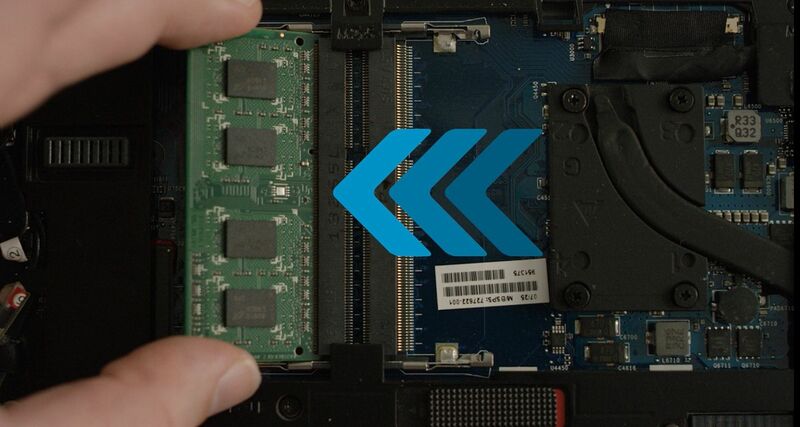 Laptops are designed with specific RAM requirements; how many modules, configuration of modules, memory technology, and storage size are all specific to each laptop. Due to each laptop’s uniqueness, you need to know what works with your system. In less than 60 seconds, the Crucial® Advisor™ and System Scanner tools browse a compatibility database filled with more than 100,000 systems to deliver guaranteed-compatible upgrades. Adding memory makes your computer faster, increases system responsiveness, and makes multitasking seamless. Installation is a quick process that’s done in just 10 steps and the benefits are instant. Looking to install memory in a desktop? Use our quick guide to desktop memory installation. 2. Shut down your laptop computer. Because your files, documents, and data are on your storage drive; not your random access memory, they remain unaffected by installing RAM. 3. Unplug the power cable. 4. Remove the battery. Consult your owner’s manual for specific instructions. If your laptop doesn’t have a removable battery, you don’t need to do this. 5. Hold the power button for 5 seconds. This discharges any residual electricity still in the system. If your battery is not removable, there’s no need to hold the power button down. 6. Open the case. For instructions about opening your specific system, consult its owner’s manual. You can also take pictures with your phone to see where cables or screws are attached to make it easier to put back together. 7. Ground yourself. Touch an unpainted metal surface – this is an extra safeguard that protects your memory and components from static damage during the installation process. 8. Remove existing memory modules. Pull the side clips away from the module to release it. Then take the RAM modules out of the slots. 9. Install Crucial memory. Holding the modules along the edges, align the notches on the module with the ridge in the slot, then apply even pressure and firmly press the module in. It usually takes about 30 pounds of pressure to fully install the module. 10. Close the laptop case and reinstall the battery. Your memory is now installed! Boot up and enjoy a more responsive computer that’s now better equipped to run memory-intensive apps.